Click to download the Flyer for details on the seminar and speakers here. Click to learn more about the event on Facebook here. 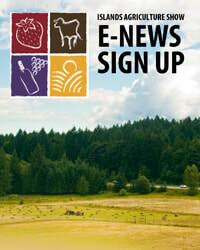 Transition planning is critical to secure the future of your farm and family, but it can be difficult to figure out the best way to transfer ownership and management to the next generation. 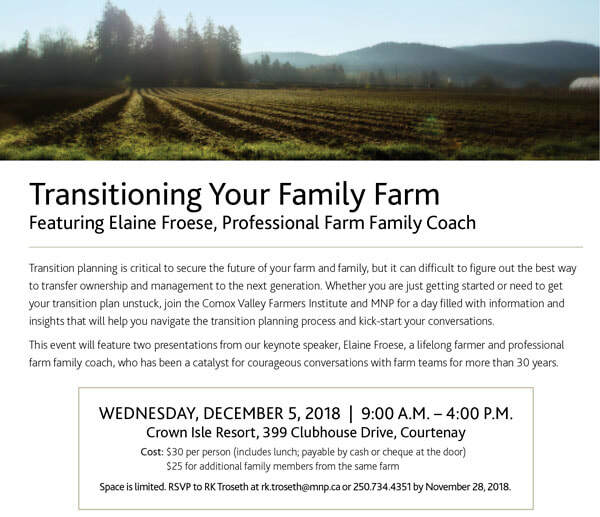 Whether you are just getting started or need to get your transition plan unstuck, join the Comox Valley Farmers Institute and MNP for a day filled with information and insights that will help you navigate the transition planning process and kick-start your conversations. Space is limited. RSVP to RK Troseth at rk.troseth@mnp.ca or 250.734.4351 by November 28, 2018. 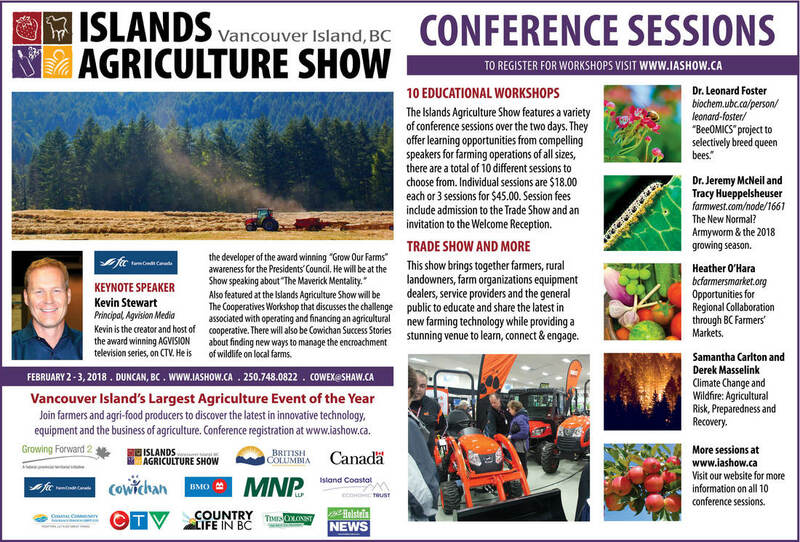 Press Release for the 2017 Islands Agriculture Show. Another highlight—and a first for the Show—will be a focus on not agriculture but aquaculture. 2017 host community Port Alberni.